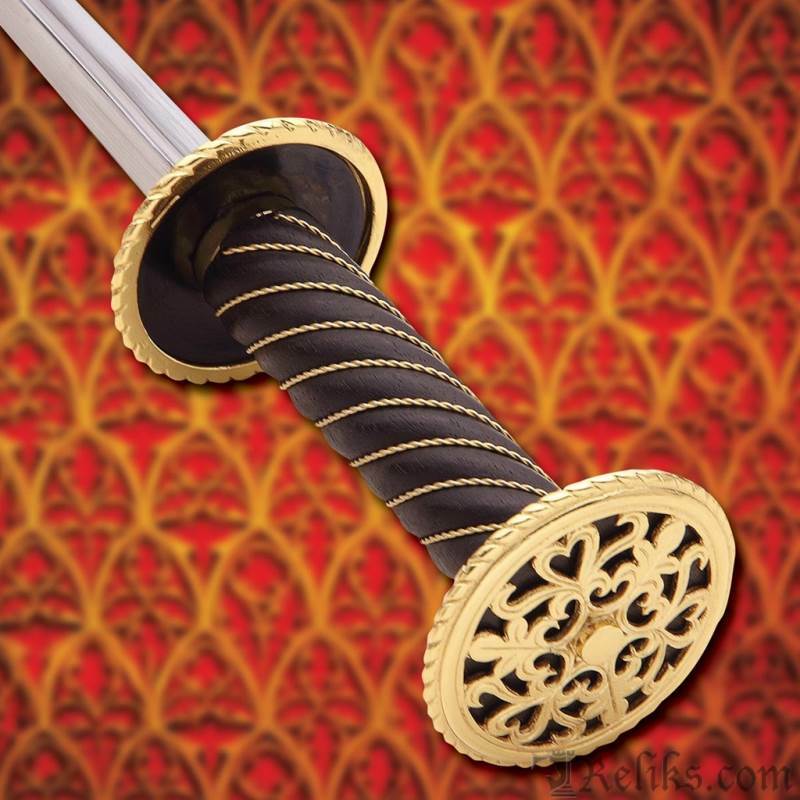 This elaborate 14th Century rondel dagger could have easily found its way onto the battlefield of Auray, France in 1364 during the Breton War of Succession. 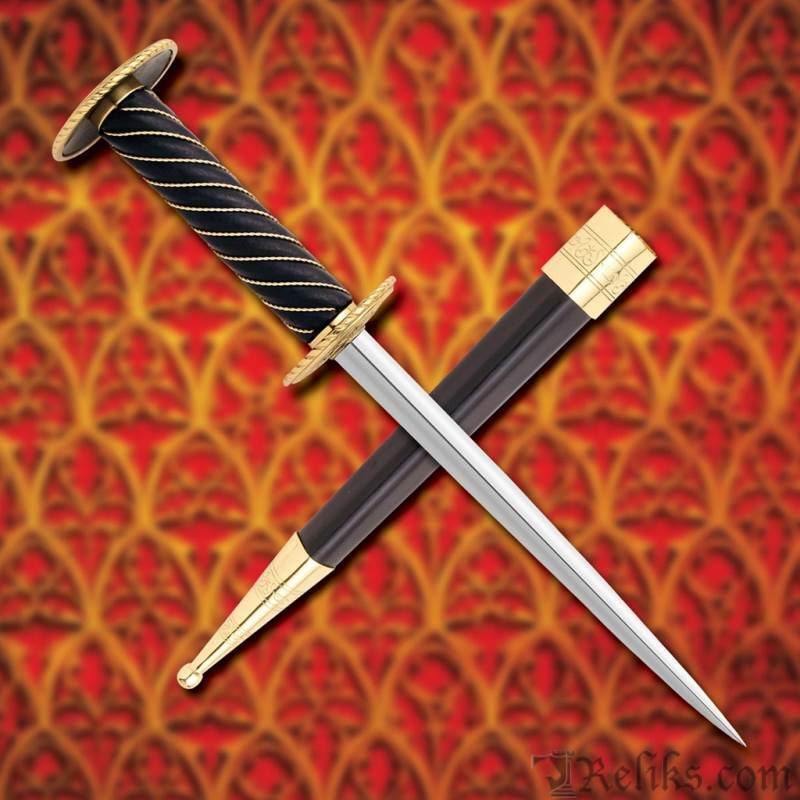 Though small in stature, this dagger has a thick, tri-sided blade for punching through almost anything. 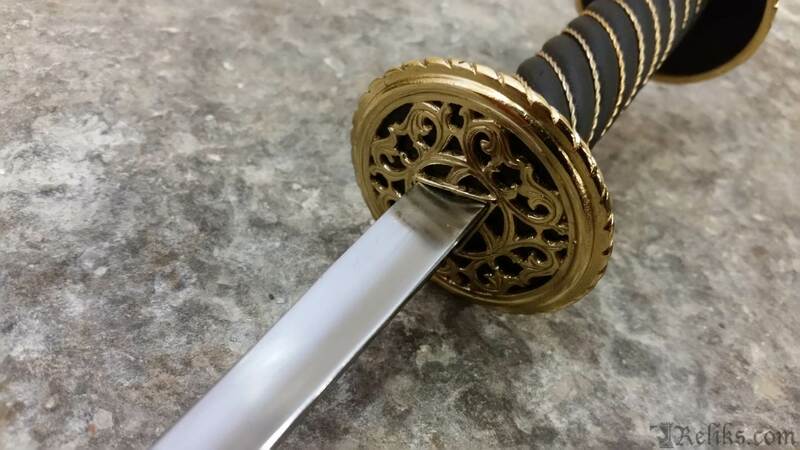 However, the main feature is the sheer beauty of this piece. 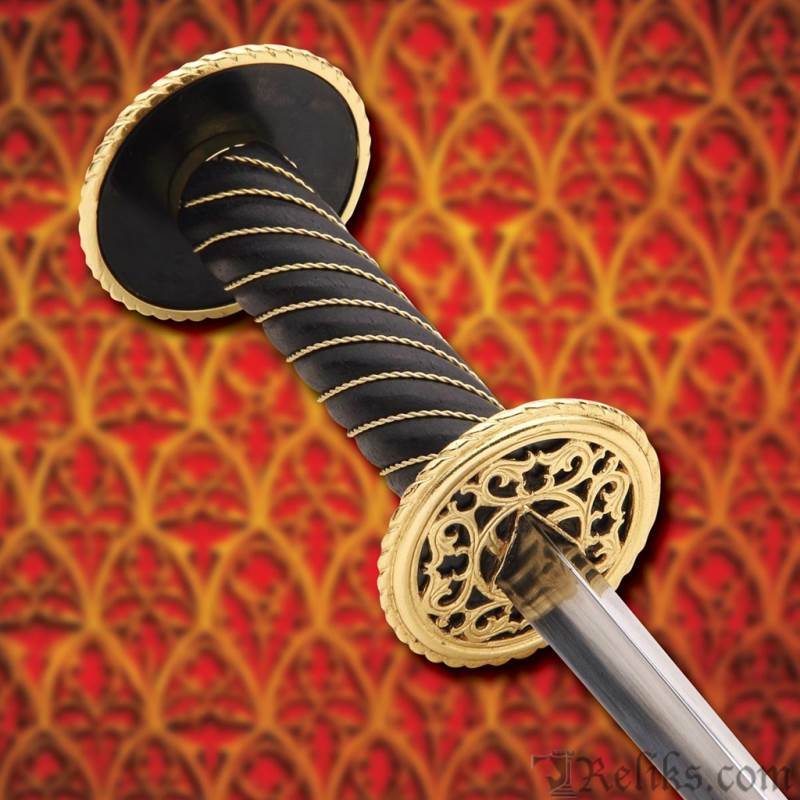 The elaborate, deep filigree work on the pommel and guard are lavishly plated in 24-karat gold, while the wooden handle has been covered in black leather with a swirled gold chain. 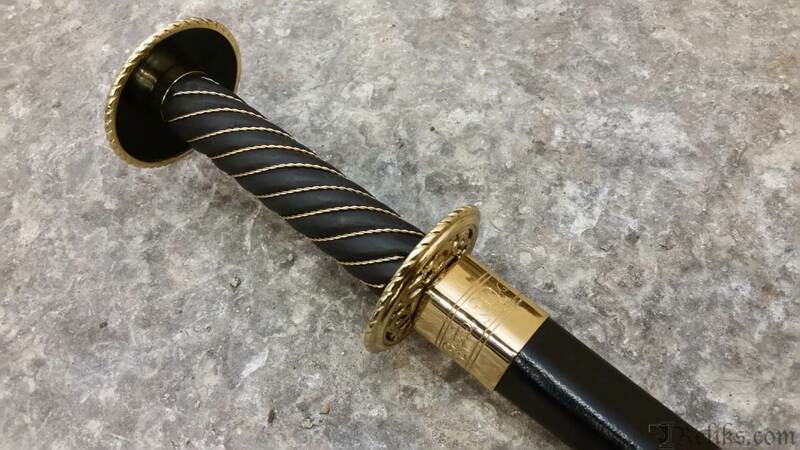 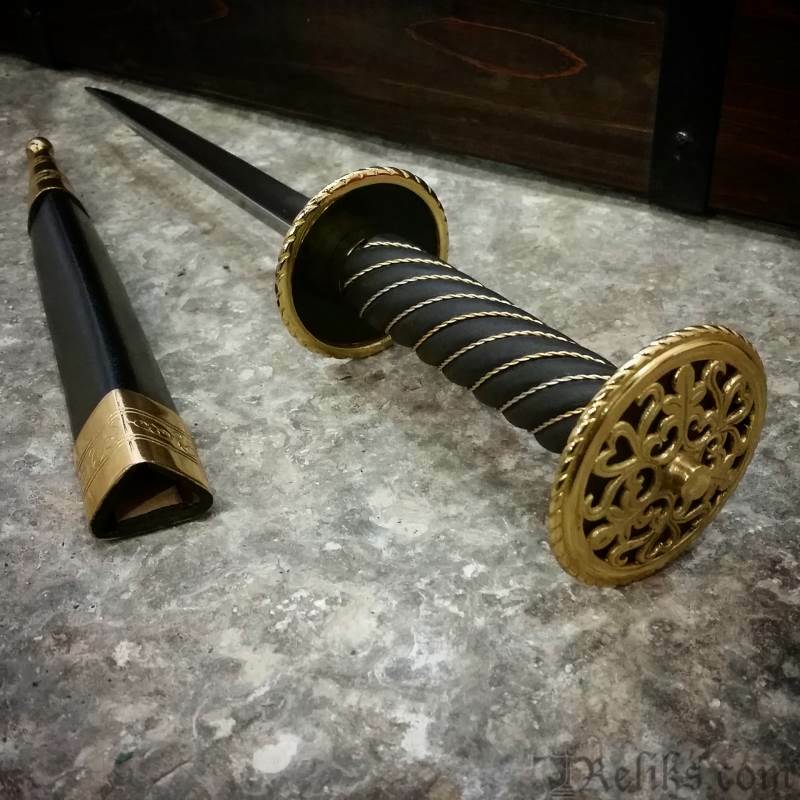 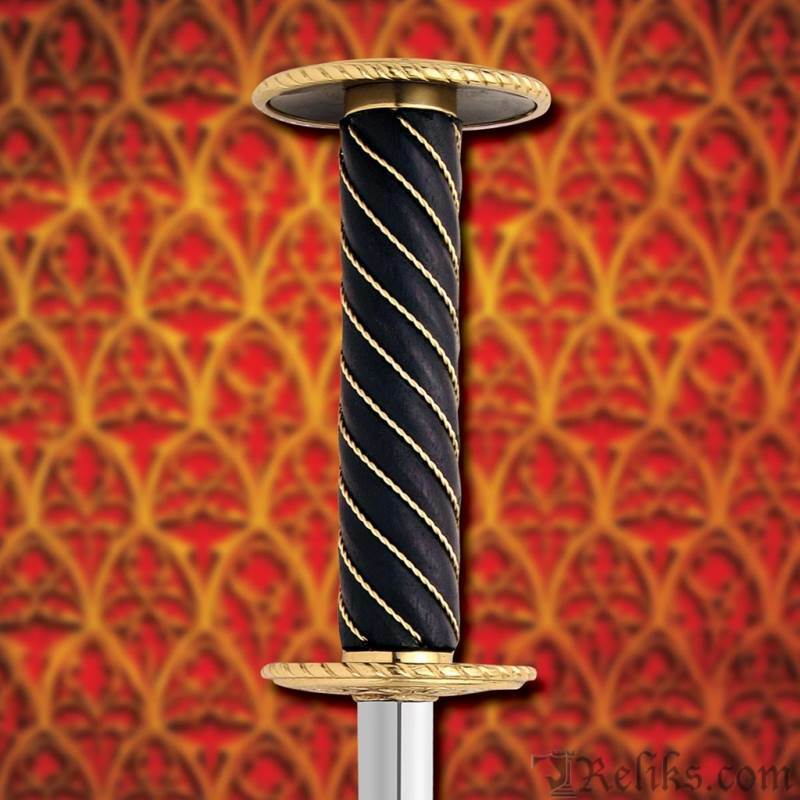 The matching wooden scabbard is leather covered and has matching, ornate gold-plated fittings. 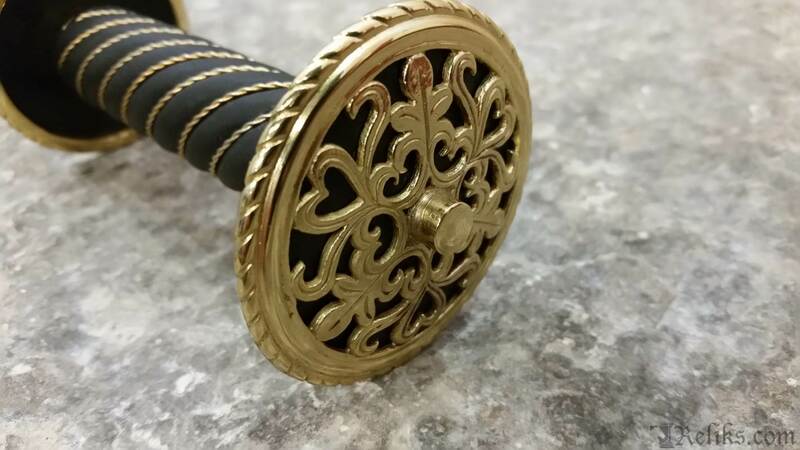 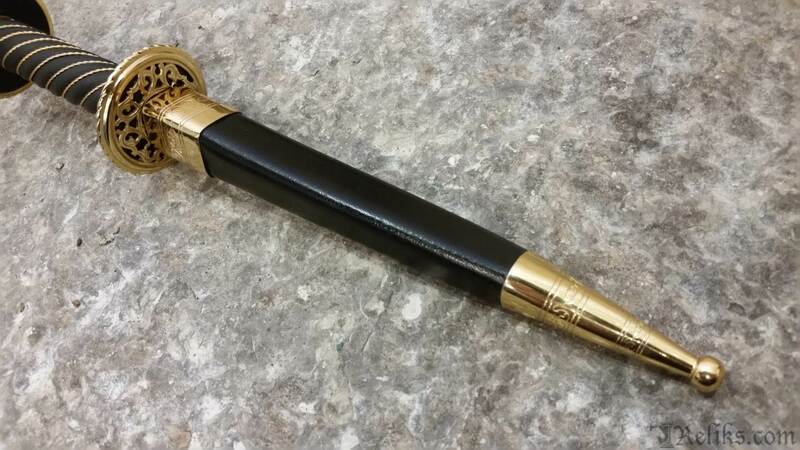 Ornate Auray Rondel - The Auray rondel is a very ornate dagger with beautiful filigree and gold detailing. 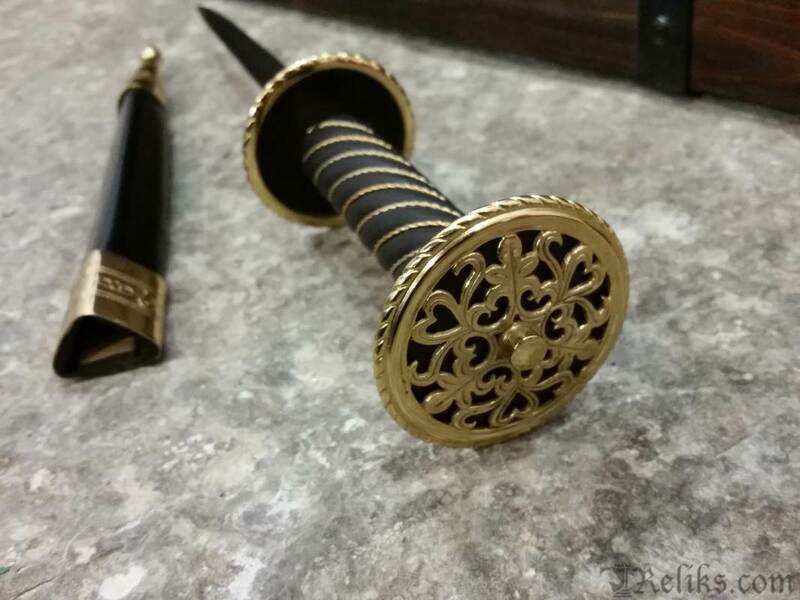 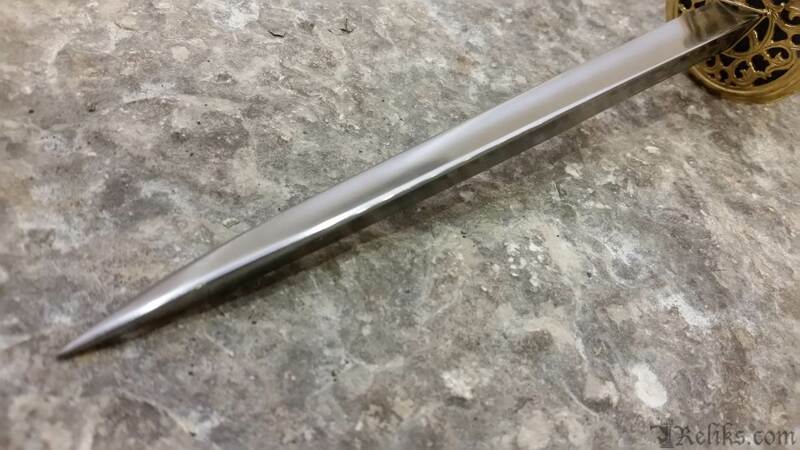 Rondel Guard - The guard on this rondel has matching gildid filigree work like the pommel.